Home Entertainment Is Sara Ramirez Leaving Grey’s Anatomy Before Season 12 Finale? Is Sara Ramirez Leaving Grey’s Anatomy Before Season 12 Finale? Is Sara Ramirez Leaving Grey's Anatomy? Is Sara Ramirez Leaving Grey’s Anatomy ahead of Season 13? Is it another major cast shakeup?. Ramirez, who has been playing Callie Torres for more than a decade, posted the following tweet on her official Twitter handle. The message left fans wondering what she actually wants to speak of the ABC drama. That’s a wrap for Doctor #CallieTorres #Season13 #GreysAnatomy #ThankYou all for an enriching & unforgettable #Rollercoaster ride! ❤️?????? 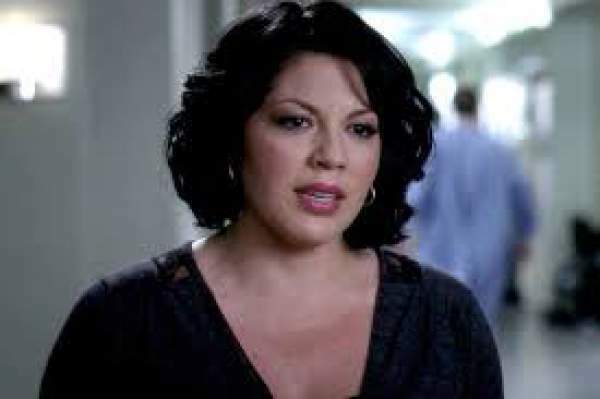 Is Sara Ramirez Leaving Grey’s Anatomy? It may be possible that Ramirez was actually celebrating the last day of work for the season 12 (the final episode is to air on May 19). Or it may be possible that she is actually leaving the show as her contract is going to get over in June this year. So, she may be doing negotiation leverage. Or she may be calling for a quick quit. Watch: Billboard Music Latin Awards 2016. Though many popular media channels tried to ask her to comment, her personal reps didn’t respond. Neither Ramirez nor ABC rep responded to have any comment on this matter. She has been in the show since the second season and thus she is one of the long time cast members. The longtime actors have their contracts to expire at the last of the series. However, her scene partner Jessica Capshaw is not one of them. But, Capshaw did sign a new 3-year deal with the show in May last year. In the upcoming episode, we will see Callie getting ready for a heated custody battle with Arizona. Stay tuned to us for latest Grey’s Anatomy news and other TV series updates. Grey’s Anatomy Season 13 Episode 20 Spoilers, Air Date, Promo: Will Meredith and Nathan Express Their Love In ‘In The Air Tonight’?